Hi everyone! I'm back with my second card for today. 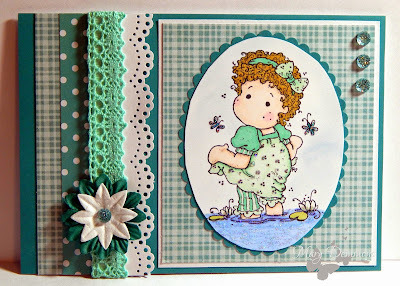 For this card I used Waterlily Tilda from Magnolia Stamps. I colored this image using Spectrum Noir Pens and added blue chalk to the image to give it a soft sky look. I also added star dust stickles to the water, her dress and hairbow. 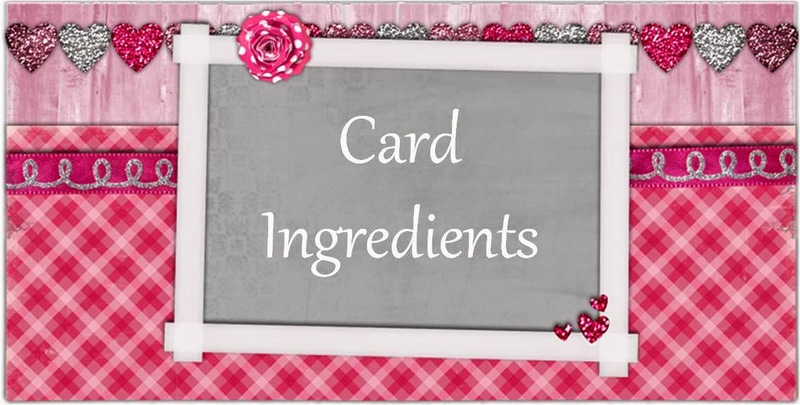 I layered card stock, patterned paper, punching, ribbon, lace, flowers and gems to finish the front of my card. The ribbon is actually hiding in behind the lace so it's hard to see it in this photo. The punching is done using a lace border punch. I cut around the image using an oval template and scalloped scissors. Thank you so much for joining us at All About Magnolia! Hope to see you next month too! Thanks for sharing ALL of your wonderful projects with us at Inspiration Destination. Hope to see you again and good luck!